The simplest definition of remote sensing is being able to know what something is, without being in physical contact with it. For example, if you look at a chair you know it’s a chair without touching it. 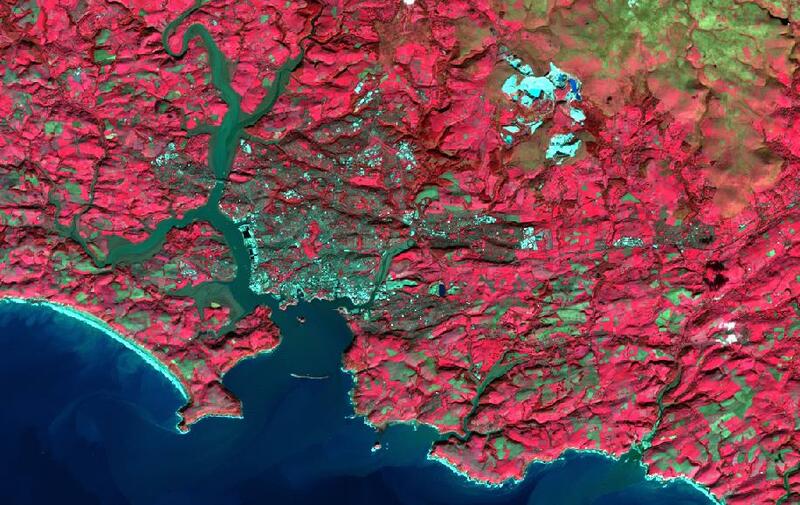 Satellite remote sensing is the same principle from up in space, where you can see trees, buildings, rivers, valleys, cities, mountains and oceans. However, you can also know how warm the ocean is, what the air quality is over a particular town, how much moisture there is in the soil, what types of trees there are in the forests, how much heat is escaping from buildings and so much more. Remote sensing essentially gives us an opportunity to better understand what is happening on our planet. Remote sensing is based on collecting and analysing data from electromagnetic energy, either emitted, or reflected, by the Earth. By using different parts of the electromagnetic spectrum, we can see things that are visible to the human eye and, more excitingly, things that aren’t so obvious. 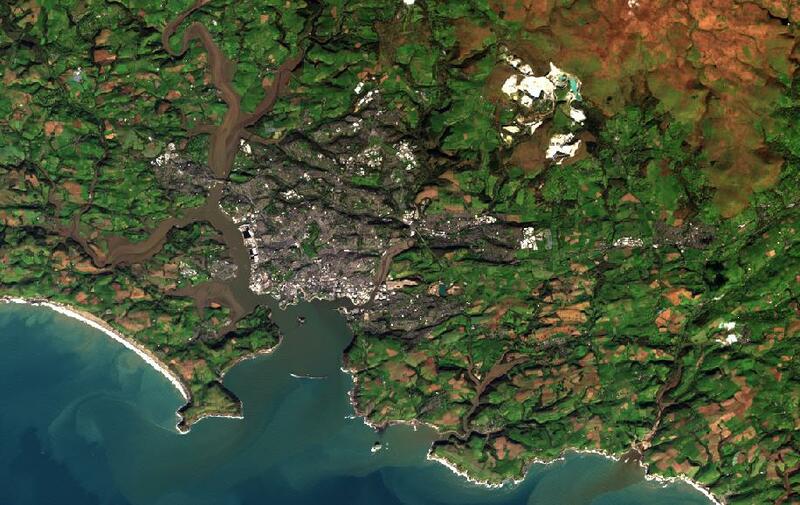 For example, the top image on the left is taken by the Landsat 8 satellite and shows pseudo-true colour composite of Plymouth, UK; this image is similar to a photograph, with urban areas in grey, vegetation in green and brown and the local china clay works in white; you can also see the suspended sediment in the water. Whereas, the image below is exactly the same, but uses different parts of the electromagnetic spectrum, and so you can see a greater contrast between urban (turquoise) and agricultural areas (red).